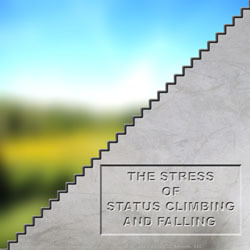 Most studies do not deal with the stress of status climbing and falling. In other words, they do not deal with the stress of change. Humans work to better themselves. This can happen in absolute terms such as money. It also happens in relative terms such as status. Studies show status is good for our health. They do not look at the stress of status climbing and falling though. In other words, they do not look at the stress of change. Whether we drive it or adapt to it, change requires work. Still, there are a few things to understand about status first. They will help show what often triggers this stress. Unlike animals we are born into a status. We favor status over money. In the U.S., we tend to achieve the same status as our parents. Animals experience stress when rising through their social hierarchy. Those with self-control tend to do better. Few animals help their offspring achieve an initial status the way humans do. Their young start at the bottom. Status is important to us though. Most people prefer to be tops in a small community than middle of the pack in a large one. This holds true even if the latter means more money. The study above defines self-control as the ability to defer short term gains for greater long term gains. Those who have it do better. They have a greater chance to keep and raise their status than those who do not. While keeping our status requires work too, it is less stressful. It does not require the change on a personal level that climbing and falling do. Friends tend to remain consistent. Our habits do too. Self-control plays a huge part in addressing the stress of status climbing and falling. With climbing, it is too much self-control that creates the stress. With falling, it is too little. As we climb, we need to ensure we enjoy some of the short-term gains. For instance, status should be giving us the means to enjoy family and friends more. Do it. As we fall, we need be good to our tomorrow selves. If not us, who? 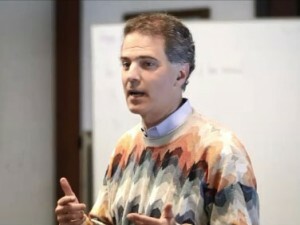 “Yes, Today’s Mike, you would enjoy doing that now. The problem is that you will be placing a heavy burden on Tomorrow’s Mike.” Plant the seeds that will catch our fall. Status affects our health. Change in status taxes us. We need to be aware of that in ourselves and in those we help.